Genuine Lishi tools are trusted by professional locksmiths around the globe because of their unmatched quality and overall design, and the Genuine Lishi 3 in 1 tools are the perfect example of just that. After two years of development Genuine Lishi released their long awaited Lishi 3 in 1 tools which took the professional locksmith world by storm. Designed to combine two of the most used auto locksmith tools, the pick and decoder, you are able to easily and quickly pick and decode doors and trunks of vehicles in around or under 3 minutes once mastered. 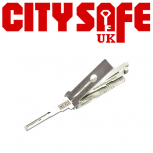 Offering impressive results the Lishi 3 in 1 tool range is a reliable and professional tool that will impress every time and never disappoint. 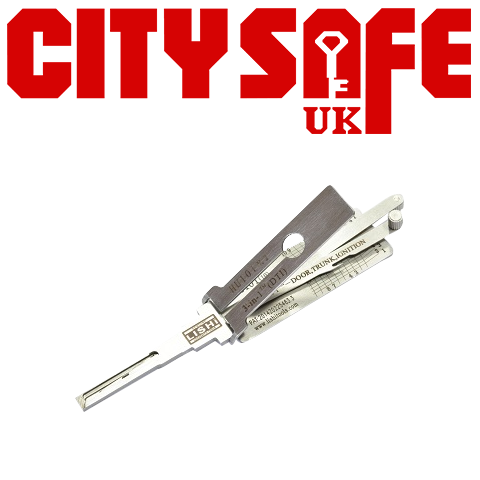 Unlike Genuine Lishi 2 in 1 tools, the 3 in 1 tools have been developed to be used on vehicle ignitions, as well as doors and trunks. With a range of Genuine Lishi 3 in 1 tools covering nearly all car makes and models you can easily put together a fantastic toolbox to help you grow in your trade as your list of services grows. TradeLocks offers all Genuine Lishi tools available on the market today and ensures that each is of the highest impeccable quality and is developed to outlast all others as is expected with the brand.